!! !Motion And Meaning: A podcast about motion design for digital designers with Val Head and Cennydd Bowles. A podcast about motion for digital designers brought to you by Val Head and Cennydd Bowles. The force behind cssanimation.rocks joins the show to talk about how animation experiments can inform client work and why UI animation takes both designers and engineers to pull of well. We also dig into how animation plays into progressive enhancement. Episode 13 notes and transcript. The super friendly Dan Mall joins me to talk about how animation fits into his design process. He shares his proven approach to finding inspiration and customizing animation to the project’s brand. We also discuss how and when to present animation ideas to clients and teammates along the way. Episode 12 notes and transcript. We’re back for season two! Rebecca Ussai, UX Design Director at RG/A Chicago, joins Val to chat about the realities of designing and prototyping animation for client work. We talk about how to make sense of the overwhelming number of prototyping tools out there and what comes after UX Choreography. Episode 11 notes and transcript. In the final episode of season one Val and Cennydd discuss common design flows or situations that animation can be particularly helpful solution for and why. Episode 10 notes and transcript. In this episode Cennydd and Val address the topic of workflow and the process of actually getting good motion design shipped into an end product. They cover how to convince your team and clients that motion is important, how to document your animation decisions in styleguides, and more! Episode 9 notes and transcript. Animation impacts accessibility in more ways than you might think. In this episode Cennydd and Val discuss the pros and cons of interface animation as it applies to accessibility and animating responsibly. Thinking strategically about your animation and implementing it well does more than just cater to people with special requirements, it makes your designs better for everyone to use. Episode 8 notes and transcript. The real world is governed by physics, but in animation we get to make up our own rules. In this episode Cennydd and Val cover the simple physics of motion. Cennydd puts his Physics degree to good use explaining the physics concepts that come in handy for designing realistic animation. Episode 7 notes and transcript. Finding a prototyping tool that’s right for you can be a challenge. Which one of the seemingly endless options out there is the best one for you? In this episode Cennydd and Val discuss their favourite prototyping tools and why, plus how to find the best prototyping tools for you. Episode 6 notes and transcript. In this episode Cennydd and Val confess motion design mistakes they’ve made in past projects. There are stories of slow animations, mechanical easing, and why animation is so much more than sprinkles on your ice cream. Don’t miss the tips on how to avoid repeating the same mistakes yourself! Episode 5 notes and transcript. No UI animation acts alone. Every bit of motion across your product or site add up to create a bigger picture. In this episode we discuss what choreography means in our digital realm while using a lot of words that start with C: choreography, consistency, and cohesiveness. Episode 4 notes and transcript. The classic principles of animation weren’t written for the digital space. We’re designing animations that are meant to interacted with, not just watched. That means we have to play by a different set of rules! In this episode Cennydd and Val discuss the modern principles for interactive animation and reveal the one faux pas that drives them both crazy. Episode 3 notes and transcript. How many classic principles can you count? In this episode Cennydd and Val take on the twelve classic principles and question which of them are most relevant to us today. They almost agree on the top five principles to pay most attention to, then vote another three off the island. The other four get to stay safely in the middle for now. Episode 2 notes and transcript. Look out motion, your time has come! In this first ever episode Cennydd and Val set the stage for this series and discuss why motion is an important tool that designers need to pay attention to. Episode 1 notes and transcript. 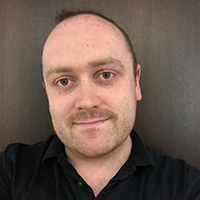 Cennydd Bowles is an independent digital product designer with thirteen years’ experience helping companies see the benefits of good design. He’s previously worked as a design manager at Twitter and senior user experience designer at renowned consultancy Clearleft. Val Head is a web animation expert and author of Designing Interface Animation on Rosenfeld Media. 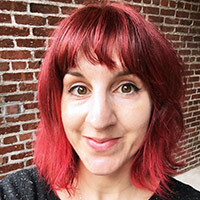 She teaches workshops around the world on interface animation for the web and publishes the UI Animation Newsletter weekly. Like the show? Send us feedback or questions via Twitter where we’re @MotionMeaning. Stay tuned for new episodes to be released approximately every week. Thanks for listening!